The UCLA Asian American Studies Center announces that 15 community groups and individuals have been awarded 2018-19 George and Sakaye Aratani Community Advancement Research Endowments. The awardees are Gardena Pioneer Project, Gardena Valley Japanese Cultural Institute, Go For Broke National Education Center, Grateful Crane Ensemble, Japanese American Cultural & Community Center, Japanese Community Youth Council (San Francisco), Mary Uyematsu Kao, Kizuna, Koreisha Senior Care & Advocacy (KSCA), Nichi Bei Foundation (San Francisco), UCLA Nikkei Student Union, UCLA Nikkei Student Union Odori, Rising Stars Youth Leadership Program, and Vigilant Love. 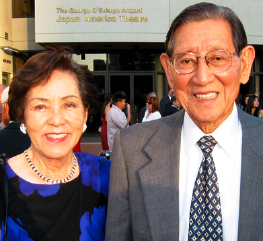 The George and Sakaye Aratani Community Advancement Research Endowment or Aratani CARE Awards are given to projects that will benefit and advance the Japanese American community. The award application process for 2019-20 begins in December. Projects that strengthen ties between the Japanese American community and UCLA students, staff, and faculty receive particular consideration. Recipients must list and acknowledge UCLA’s Asian American Studies Center and the Aratani CARE Award as co-sponsors on PR and programs.